I have been cooking outdoors on barbecue grills for years. 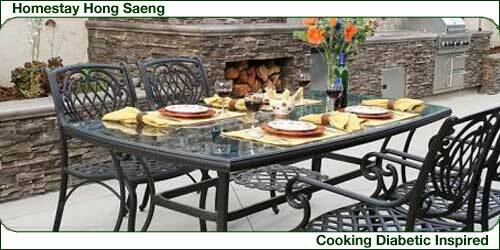 Over the years, I have learned a few things about outdoor cooking, and the numerous grills available. I’d like a to share these ideas. 1) A standard gas grill with lava rocks that can be used for everyday summer cooking. Although you should prefer the flavor of food done on charcoal or wood, the gas grill is convenient and quick; use it for any type of meat, fish or vegetables. It is important to have a gas grill with dual burners, and an upper second shelf. The dual burners, because you may be doing 2 or 3 things at once, or may want to cook with indirect heat. The second top shelf is to keep things warm, or for slow cooking of vegetables or potatoes. Warm up the gas grill about 10 to 15 minutes before start cooking. This insures more consistent results from day to day as the starting heat will be about the same. 2) The second grill is a round, covered, Weber kettle grill; use this for the slow cooking of poultry or roasts – cooking time of 45 minutes or more. Always cook on this grill with indirect heat. By this, never place the item you’re cooking directly over the coals. Normally, use regular charcoal rather than briquettes, but regular charcoal is readily available, and much cheaper than briquettes. Either will work fine. Charcoal gives off a little more smoke, and is easier and quicker to light. It does however burn much faster than briquettes. Sometimes you’ve to supplement the charcoal with bits of wood to give a smoky flavor. Oak, apple, hickory or mesquite all add nice flavor. 3) The third grill is a small, portable, charcoal grill – about 18″ x 12″ (45 x 30 cm) and about 6″ (15 cm) deep, to use for steaks and chops that you want to cook over a hot fire, and directly over the coals. This produces a nice steak or chop with a slightly charred outside. It requires careful attention to avoid burning the outside. The grilling grid is about 2″ to 3″ (5 – 7.5 cm) above the coals. The cooking time is normally very short. Briquettes are the best for this style of grill because charcoal pieces are irregular in size, and produce uneven heat. With briquettes, the heat is even and hot. Do not start cooking until the coals are completely glowing – good and hot; spread the glowing coals evenly to the same area that the food will cover and place the cooking grid in place at least 5 minutes before to start cooking, to get it hot. The advantage of the small grill is that you do not use so much charcoal to produce a hot fire. The bigger kettle grill would use 2 or 3 times more charcoal, and the cooking grid on the kettle grill is several inches above the coal. 4) Finally, the smoker. This is a cylindrical, dome covered grill about 18″ (45cm) in circumference and 30″ (75cm) high. It has a pan for charcoal or wood on the bottom. There’s a pan in the middle for water to help control the temperature and catch the drippings. Then, 2 tiers of grids above that, with a few inches between them. This is not a true smoker, as a true smoker does not cook the food. This type of smoker cooks and smokes at the same time; use it for fish – particularly salmon, poultry and pasta. The process is very slow, 2 to 3 hours or more, but produces lovely results. The pan for charcoal on the bottom tier is dishpan shaped. Modify this because you will find the fire difficult to maintain, so drill 1/4″ holes in the bottom and added a small round grate (purchase at the hardware store) to hold the coals up from the bottom of the pan about 1″. This allows good circulation for the fire. Start the fire with charcoal. After it gets going, start the cooking- smoking process and add some wood chunks. Same as above – oak, apple, hickory or mesquite. Bags of chips are available at most places where charcoal is available. These need to be soaked in water for about 1/2 hour, or they will burn off right away. The damp wet wood chips smolder on the hot coals and produce the smoke. Also use bigger chunks of apple or oak, about 3″ to 4″. These burn slowly, and add smoke. Add more charcoal and wood chunks as needed to keep the fire going. Add wood chips about every 1/2 hour. Since a great deal of smoke is keep the fire going. Add wood chips about every 1/2 hour. While smoke is emitted, be sure to place the smoker strategically. The smoker for a smoked salmon starter and smoked pasta (sounds strange but it is wonderful!). and additional the portable grill for the steaks or lamb chops. Sounds good doesn’t’t it? Buy good quality grills. Especially the gas grill. Replacement parts will prolong the life of the grill. Replace the burner and grates of the gas grill about every 2 years. Before you buy, look in the owners manual to see if replacement grates and burners are available. With luck you may also find replacement burners and grates at places. The grates of a Weber grill are readily available, and need to be replaced periodically.